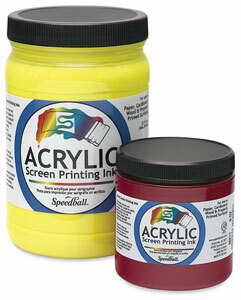 Highly opaque ink for signs, posters and fine art prints. Use on paper, posterboard, or wood only. Water-based, non-toxic, non-clogging. 16 flexible colors air-dry quickly. ® Speedball is a registered trademark.™ Night Glo is a trademark.